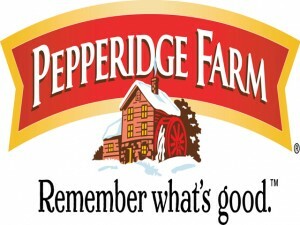 Pepperidge Farm is a cookies and crackers manufacturing company based in Connecticut in the USA. Apart from cookies and crackers, it also manufactures fresh breads, puff pastries, desserts, and convenience meals. Pepperidge Farm was founded on July 4 in 1947 by Margaret Rudkin. It was her son’s allergy to artificial preservatives and flavors that inspired her to create a recipe for bread with natural ingredients. Rudkin she started doing research to find a recipe for making natural bread. She started trying different recipes and in 1937 she succeeded in achieving her goal. She started a small business and began making bread in her kitchen. Initially, she distributed her products only to local grocers under the brand name Pepperidge Farm. The demand of the bread increased within a short period of time as consumers preferred homemade bread to commercial breads. Margaret was not able to expand her business much during the 1930s. However, in the 1940s, she decided to increase the production of the company. With that in mind, she opened a bakery in Norwalk, Connecticut on July 4, 1947. The company started manufacturing more products such as oatmeal breads, stuffing and dinner rolls. All the products of the company were tasted by Margaret before being sold to the grocery stores. The first advertisement of the company was featured on television in the 1950s. Margaret also got the opportunity to taste the cookies produced by the famous cookie manufacturers in Belgium, Delacre Company. She wanted to bring these cookies to the U.S. The companies reached an agreement and in 1955, Pepperidge Farms introduced new brands of cookies such as Brussels, Bordeaux, and Geneva. During this period, the company also acquired Black Horse Pastry Company, and started its frozen pastry business. In 1961, Campbell Soup Company purchased Pepperidge Farms. In 1962, Margaret bought the recipe of Goldfish crackers from a company in Switzerland and started manufacturing them. During the 1970s, the company was expanded more, and more products were added to its product line. It also acquired the American Collection in 1986, and changed its name to Chocolate Chunk Big Cookies.